Spring Bada Bing is just around the corner! We are so excited for this year’s show. We believe it will be one of our best yet! We have incredibly talented makers taking part in Spring Bada Bing and we wanted our customers to have the opportunity to get to know them a little bit better, so we will be highlighting several of them between now and the big day. Check back daily! How did you get started making your products? 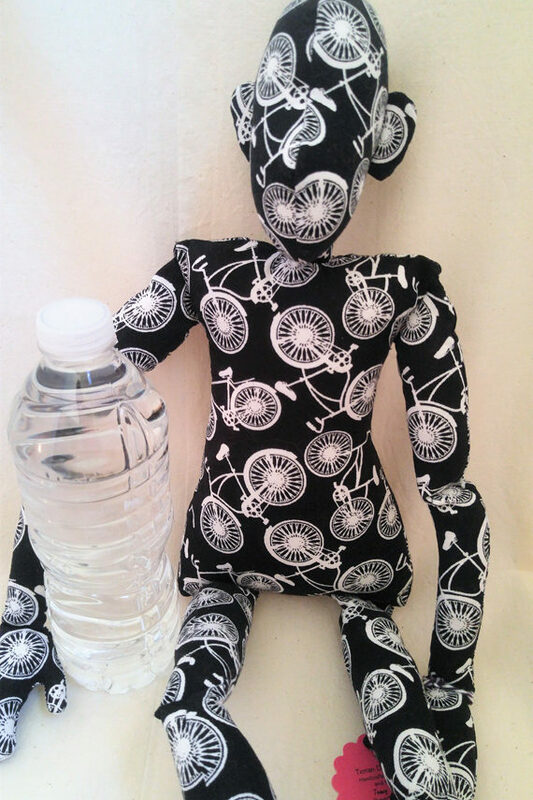 I’ve been making cloth dolls many years, but they always seemed flat to me. I wanted to create cloth dolls that had a little more three dimensional quality to them. So after some trial and error, I was able to come up with a pattern that allowed me to create poseable dolls and to give them more personality. They are still an evolving art and I expect to tweak the pattern even more in the future. Do you have any new products debuting this Spring? Yes! 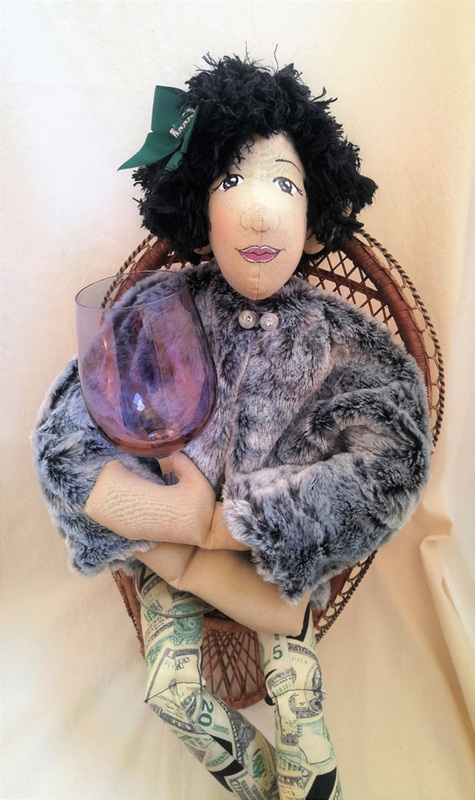 My latest product to debut this spring is the “Affirmation Doll”. Its basically a cloth doll that come with it’s own affirmation statement on a certificate. The doll’s fabric matches the affirmation, so that you can have a constant reminder even if you are not looking at the certificate. Of all of your products what is your favorite and why? My poseable cloth dolls. Simply put…they are fun! I love the physical expression of the dolls. Do you have any long term goals for your business? I see my poseable dolls as art and would like to get them in home decor magazines as part of a room design. I also plan to have a pattern book completed in 2019 of my poseable dolls. 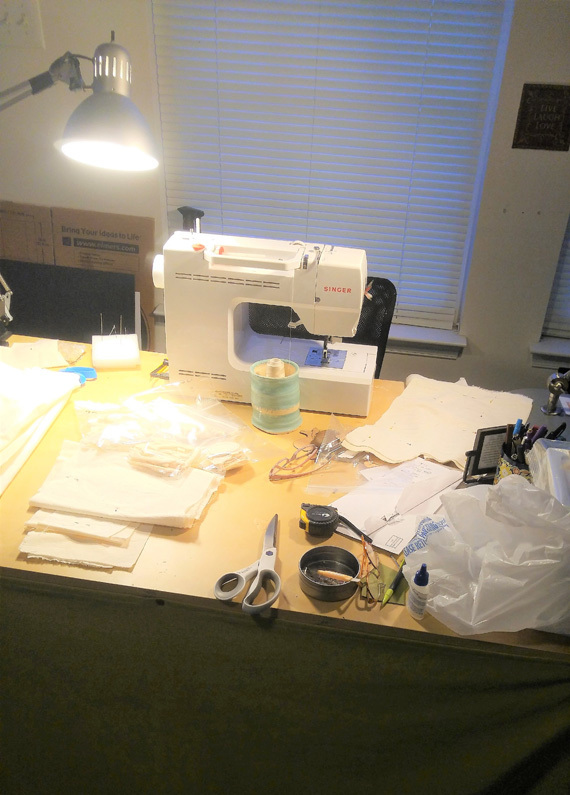 Which of your products is most time consuming to make and why? I make small button jointed dolls, about seven inches tall. They take a lot of time, because turning and stuffing the tiny limbs is difficult. How much time do you typically spend making each product? It’s really difficult to calculate, because I very rarely work on one doll one at a time. And it honestly depends on the doll. 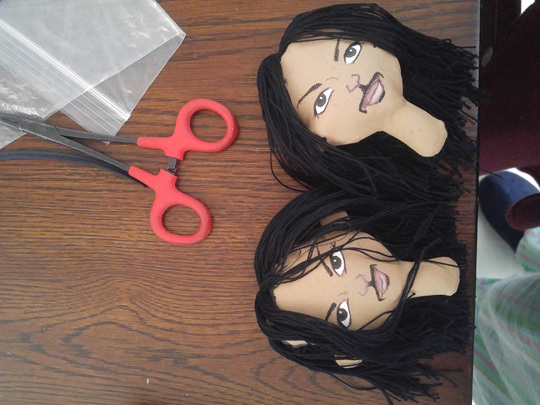 I bellieve I could finish one doll in as few as four hours or as much as eight hours or more. What drives you to continue making? Who/what is your inspiration? I love to create and to figure things out. 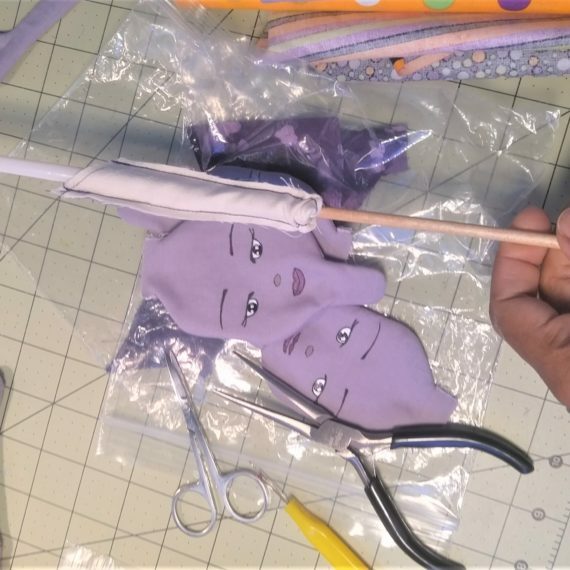 Dollmaking is artistic and technical and I love every aspect of it. But my greatest inspiration comes from my secret love affair with fabric. Yes, I’ m a fabric lover. I get all tingly seeing the different fabric prints. I imagine what type of doll I could make out of every print I see. I have more than enough fabric, but I can never resist the purchase of another unique print. What is the biggest hurdle you have overcome with your business? Understanding that everyone is not a doll person. This was difficult for me at first, but I’ve learned that those who are with you, are for you. Those who are not, will not buy your stuff. What do you watch or listen to while you are working? Any affirmation or inspirational type of music. book or podcast (I especially like “BeingBoss”). I love the Pedestrian bridge down town. I walk it at least once a week.